What’s cold on the inside, warm on the outside and sweating bullets all over the bathroom floor? You guessed it: a sweating toilet tank. A toilet repair plumber can help you. But before you call a professional, consider your options for a DIY repair. Some fixes are easy and cheap. 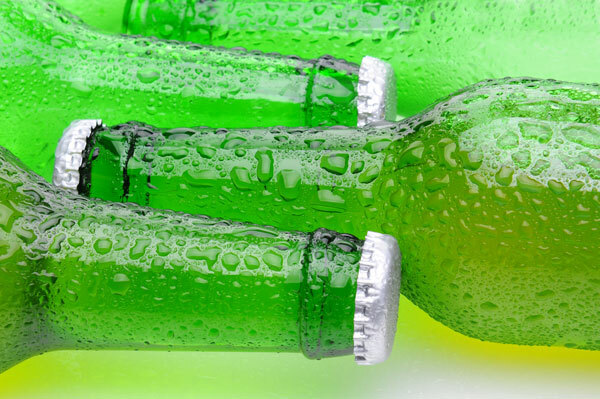 Moisture condenses on cold bottles when the exterior air is warmer than the interior liquid. The same thing happens when a toilet tank sweats. Condensation forms on the outside of a toilet when the tank is much cooler than the surrounding air. A toilet tank cools down when it fills with cold water. Water entering the tank is generally between 50-60 degrees Fahrenheit. Your home may be 10-20 degrees warmer than that. Moisture in the surrounding air condenses and collects on the outside of the toilet. It’s the same phenomenon that causes water to form on a glass holding a cold beverage. When left untreated, a sweating toilet can cause water damage on the floor. You’ll definitely want to take care of this problem. 1. Get a mixing valve: An anti-sweat valve is antiperspirant for your toilet. The valve lets a little bit of hot water mix with the cold. This repair will nearly always work, but if you don’t have easy access to the hot water line, it can be a rather involved project. Hiring a toilet repair plumber may be the best option if you plan to install a mixing valve. 2. Install a new toilet: Sometimes it makes more sense to replace than repair. A low-flow toilet uses less water, which means the tank will have less of the stuff that makes it cold and clammy. Models with built-in installation are available. 3. Replace the tank: You may be able to replace only the tank on your toilet. Choose a tank with insulation. 4. Keep the tank warmer: Buy and install a kit to insulate the tank. 5. Repair a running toilet: If the toilet is running, it’s more likely to sweat because it’s continually refilling with cool water. 6. Reduce humidity: Install and use a bathroom fan, take shorter showers or leave the bathroom door open. Crank up the AC while the showers in use. 7. Get a drip pan: Place a tray under the tank as a stopgap until you can work a more elegant repair. Water running down the toilet tank isn’t really a leak, but it’s still a nuisance. To troubleshoot a leaking toilet, read our blog post on that topic. At Simpson Plumbing, we repair all kinds of toilets with all kinds of problems. Give us a call at (360) 834-5311. We’ll find a way to fix your toilet!